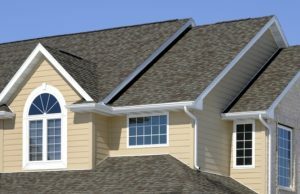 Vinyl windows are an attractive option for many home owners looking to be more energy efficient and reduce maintenance. A common trend among homeowners recently is a switch to vinyl windows. Vinyl windows can offer benefits to your home, but there are several factors to consider when it comes to deciding whether they’re the right choice for you. One of the biggest factors to take into consideration is function versus cost, vinyl windows can be more cost effective than other options in the right home. While you will want to discuss your options and what will be the best fit for our home with a professional, there are a few things to keep in mind if you’re considering vinyl windows in your home. Vinyl is popular for a reason: they open and close easily, are well designed for insulation and energy efficiency, and come with Energy Star ratings. This can add value to your home and save you money for years to come, as opposed to leaky or warped wooden windows. Many homeowners find vinyl windows to be a low-maintenance option. They last a long time, since they don’t warp or get leaky like wooden window frames and don’t dent like metal ones. The frames of vinyl windows are extremely durable, and you should be able to replace window panels yourself if one is broken, without any of the trouble of replacing a frame. Vinyl windows are also extremely easy to clean with any household cleaner. While vinyl windows are incredibly functional, aesthetic is also something to consider when replacing or installing windows in your home. Vinyl windows are available in a variety of sizes, shapes, and finishes, but the options are still fewer than traditional wooden or metal windows. There is also a bit less flexibility with vinyl windows when it comes to their design, as they may not fit a classic vision for your home’s design, and cannot be simply painted over for a new look as a wooden window can. However, if you find the right vinyl window for you and your home’s design, they will last longer. This entry was posted on Friday, July 6th, 2018 at 11:53 am. Both comments and pings are currently closed.